With Kegco's Deluxe Dual Keg Kegerator Conversion Kit, you'll go from owning a plain refrigerator or freezer to dispensing delicious draft beer from your very own kegerator in no time! 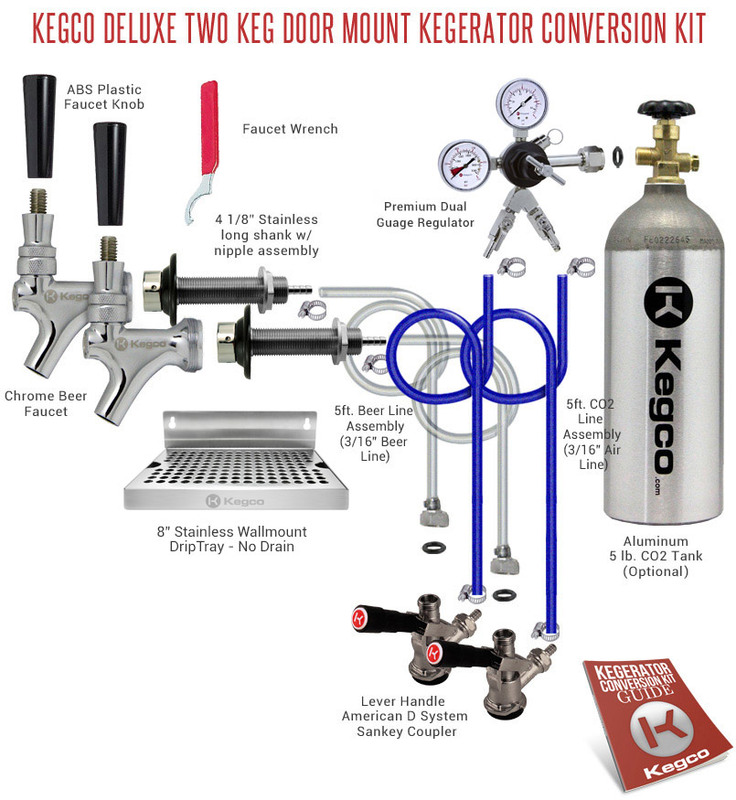 Drawing on years of beer dispensing experience, Kegco has designed a kit that includes all of the high quality parts you'll need, from the durable commercial grade double gauge regulator to NSF approved commercial-grade American D-System keg couplers that will easily tap any North American store bought kegs. Depending on your refrigerator's capacity, you will be able to run 2 full size kegs, 2 pony kegs, 2 six gallon kegs, or any combination you choose. To ensure that cleaning up after every use is just as convenient as the initial assembly, we've even included a stainless steel drip tray that will contain any drips. Our kits come complete with a detailed instruction guide, and our helpful product specialists are available at 1-800-710-9939 to answer any of your questions. Our popular 8" wide door mounted drip tray's clean design and reliable stainless steel construction make it easy to enjoy delicious draft beer every day - mess-free! Installation is simple, thanks to the two conveniently placed screw holes on the backsplash. When it's time to clean, the top vent can be removed for easy access. Because this drip tray does not have a drain, you will need to empty it manually. This durable stainless steel worm drive clamp is easy to install or remove using a flat head screwdriver, affording you a superior grip on your hoses. It fits 3/16" to 5/16" I.D. (up to 9/16" O.D.) vinyl hose or 1/4" to 5/16" I.D. (up to 7/16" O.D.) poly hose. Its sturdy stainless steel construction makes it reusable and resistant to corrosion over time. 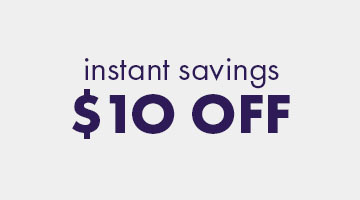 Perfect kit, a super easy installation! Comments: This kit comes with everything you need. It takes a matter of minutes to install. The quality of the hardware is very good. I would recommend having the keg cold and ready to go when you order this kit... You'll be tapping it in under 30 min from starting your conversion. Great buy. Comments: Management (my wife) originally approved the purchase of a kegerator. After doing the math, I decided that a freezer less refrigerator and a conversion kit would provide the best benefits. The refrigerator provides extra space that a standalone kegerator does not. I installed taps out the side of the refrigerator, that way I didn't lose the use of any of the door shelves. The instructions were clear and I was drinking draft beer at home in less than an hour! !